Continuing with my once-a-week spa-day in Las Vegas, this time I visited Paris Las Vegas. While the fitness center was slightly more stocked than Harrah’s, I just can’t stand not having windows! Running on the treadmill while watching the happenings at the Harrah’s pool was a far better experience for me. 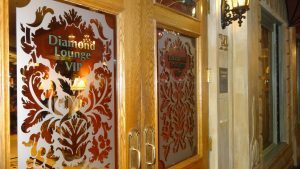 The Diamond Lounge on the other hand was in some ways better and some ways worse. 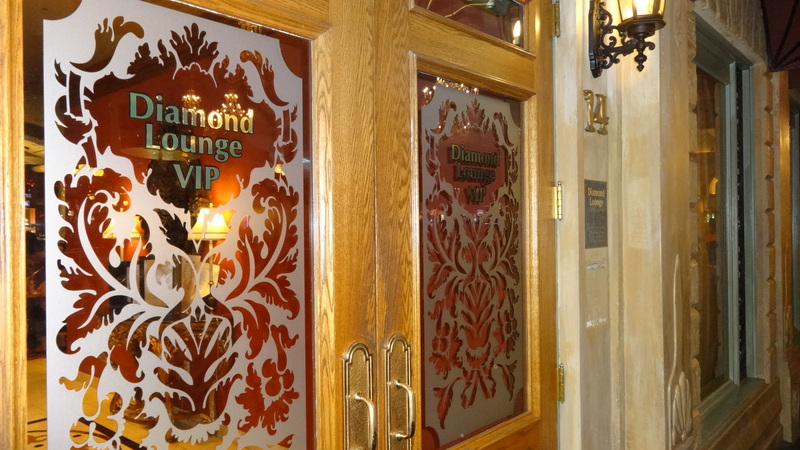 First, the lack of a salad bugs me about the Diamond Lounges outside of Harrah’s. Harrah’s seems to have the standard 2 choices of finger foods PLUS a salad, where the others have only the finger foods. They all have deserts. The service here was awesome though. There was a middle-aged asian woman who was so attentive, I wondered if it was her first week working. I gave her 3 bucks instead of my usual dollar. I like the atmosphere at the Paris lounge as well. You can choose a relaxed elegant setting near the windows (windows to the casino), a dark lounge setting close to the food, or sit at the bar! I heard some commotion at the bar, they must have been having a great time. 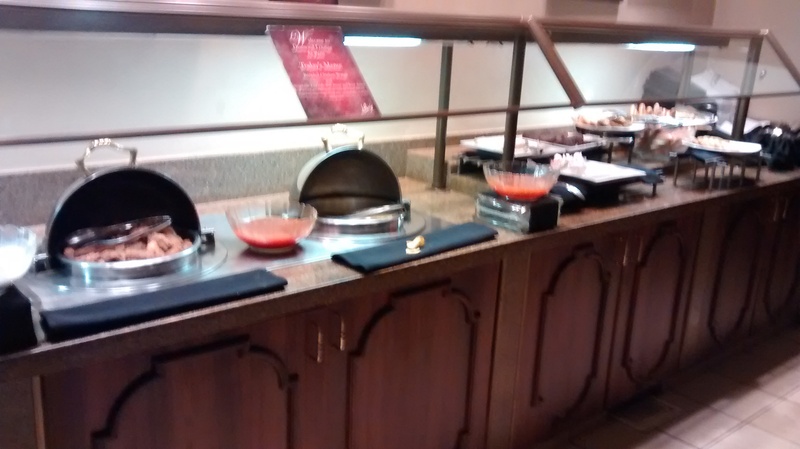 Fairly standard Diamond Lounge buffet at 4pm.